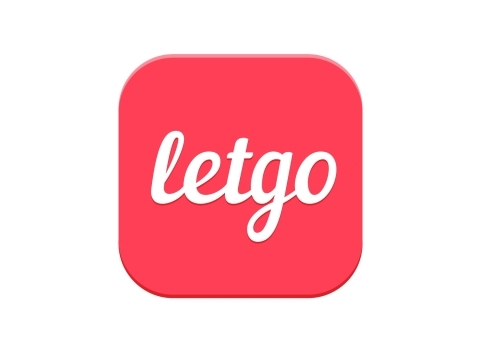 NEW YORK--(BUSINESS WIRE)--letgo, the largest and fastest growing app to buy and sell locally, revealed that 75 million people have downloaded its free marketplace app – two and a half times its total only a year ago. letgo also disclosed that users have posted over 200 million listings since it launched in 2015. Sellers add well over half a million new listings daily, the company added. According to a new comScore report, letgo ranks second among the fastest growing apps in America, ahead of Uber, Lyft, WhatsApp, Wish, Venmo and others. 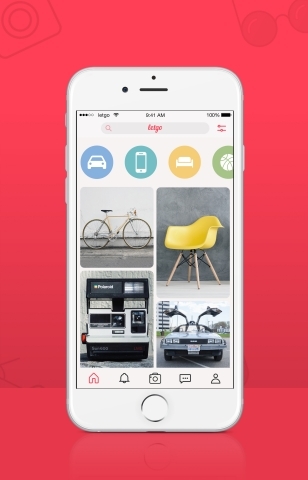 Unlike any other marketplace of its kind, letgo simplifies buying and selling with image recognition and artificial intelligence. The company called this technology and the convenience it unlocks for users major drivers of the app’s enormous popularity. Posting anything from skis to a laptop for sale on letgo is as effortless as taking a photo because it is the only app of its kind that automatically titles and categorizes users’ listings. letgo said its advanced technology has identified 400 million user photos to date and up to 1.3 million daily. The company, which has grown to 165 employees, also reported that letgo buyers and sellers have already sent each other 3 billion messages using the app’s chat feature – up to 9 million daily. The feature eliminates any need for users to share phone numbers with each other or endure the frustratingly slow back-and-forth of email. Buyers and sellers can easily view each other’s letgo profiles, which display prior listings along with ratings and reviews from other users. With 75M downloads and hundreds of millions of listings to date, letgo is the largest and fastest growing app to buy and sell locally. Already among the top mobile apps in America, letgo’s users buy and sell everything from electronics, cars and collectibles to clothing, furniture and other home décor. The free app makes it easy to sell what you don’t need and find great deals nearby on what you do. Posting something for sale on letgo is as simple as taking a photo thanks to its advanced technology. It is the only app of its kind that automatically titles and categorizes a seller’s listing using artificial intelligence and image recognition. Users can easily browse local listings, chat instantly in the app, and view each other’s profiles, ratings and reviews. letgo was founded in 2015 by Alec Oxenford and Jordi Castello, with cofounder Enrique Linares joining soon after. Oxenford previously cofounded OLX, which is installed on hundreds of millions of devices worldwide. Named one of 2016’s “Hottest Startups” by Wired and among the year’s “Best Apps” by Google, letgo’s investors include Naspers, Accel, Insight Venture Partners, New Enterprise Associates, 14W, Eight Roads Ventures, Mangrove Capital Partners and FJ Labs. letgo is headquartered in the Netherlands, with offices in New York and Barcelona. For more information, visit letgo.com and download letgo’s app for Android and iOS devices.